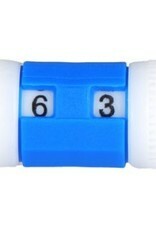 Small Blue Row Counters with circular, double-pointed or straight needles up to size US 8, 5 mm. 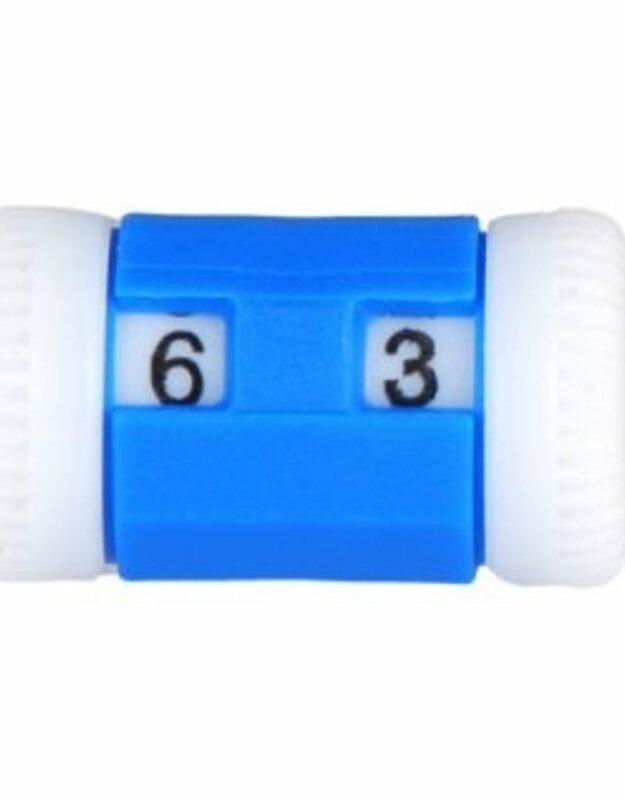 These handy counters slip onto your needle of choice so they don't get lost in the couch cushions or under your chair, allow you to track row, stitch and pattern counts. Upgrade to the Clicky for an around-your-neck counter that has a locking mechanism to ensure your rows won't get uncounted by accident.